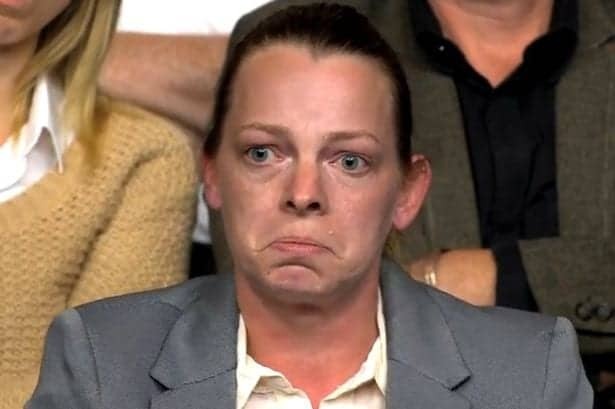 A Conservative voter who became a viral hit after crying on BBC’s Question Time about tax credit cuts has joined the Labour Party. She made a passionate speech about how the Tories have brought financial pain on her family. Now she has defected from the Conservative party and is now a members of Jeremy Corbyn’s party. She said the Tory government were responsible for “lies, deceit and substantial asset stripping of the UK” by the Government. The single mum of four, who works as a beautician, from Folkstone clip from Question Time went viral after she screamed “shame on you” at Amber Rudd a Tory Cabinet minister. Dorrell said: “I have made a decision to join the Labour Party. The lies, deceit and substantial asset stripping of the UK by those in power have confirmed to me that this is the right choice. “There have always been people that believe they are entitled to act in ways no one in any progressive society should conduct themselves and this government, led by David Cameron, has not learned from the mistakes of the past. “No sane, logical or moral person within the UK in 2016, would ever want the conditions of inequality growing at such a pace as to break the back of society, with disastrous consequences for those with limited opportunities. “The malice and contempt shown by this government in their attempts to undermine and oppress societies poorest and most vulnerable citizens is inexcusable. Watch her Question Time appearance here.